What is Oracle Agile PLM? Oracle Agile PLM is a comprehensive suite used by enterprises to analyze and manage their product value chains and lifecycles. The platform offers powerful functionalities without sacrificing the ease of use. Its dashboard is customizable and uses visualizations to help extract valuable insights from the data. Oracle Agile PLM enables different teams with different functions to log on to its system and work on related tasks in a collective manner. This helps companies sync their data using internal and external pools. This helps teams see the big picture for their products, thus it can help them not just in the analysis but in the optimization of their product lifecycle. This means innovation and maximizing profitability by improving product design and making changes in supply chain interactions. Furthermore, the software allows users to access it via its mobile applications. This makes it more convenient for teams, managers, and executives to monitor and process data easily. With Agile PLM on mobile, nobody will be out of the loop. The suite is being used by companies of different scales and in different industries as it is customizable to specific contexts and needs. Clients using Agile PLM range from companies operating in the pharmaceutical industry to the consumer goods industry. The main benefits of Agile PLM are it covers your entire product lifecycle processes, it gives decision-makers clear visibility on their day-to-day operations and it is accessible via mobile for flexibility. Read on to learn more of the tool’s advantages. Agile PLM’s design and functionality are based on a strategic approach to product lifecycle management. Tools and support are available for every process starting from the initial procurement of requirements, design, prototypes, and certifications up to the retirement of product lines. It offers executives an integrated view of the business, especially when they are working in a complexly plotted out enterprises spanning different countries and regions. With this view and step-by-step support, businesses can now make their strategic objectives manifest in daily operations. This can allow executives to see where they can lower their costs, speed up their production, widen their distribution, and improve regulatory compliance, plus many others. Decision-makers can now monitor the same things and be on the same page. Better-informed decisions regarding the management of product lifecycles can now be made with the help of Agile PLM. 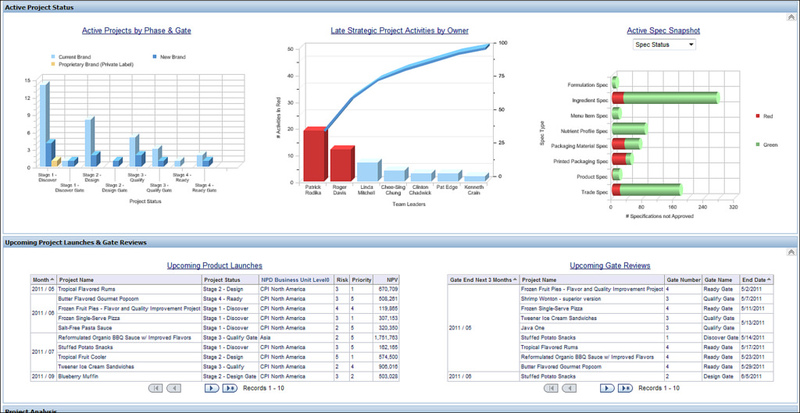 The Agile PLM suite of products includes Agile Engineering Collaboration, Agile Product Quality Management, Oracle Product Lifecycle Analytics, Agile Product Collaboration, Agile Product Governance & Compliance, Oracle PLM Cloud Strategies, Agile Product Cost Management, and Agile Product Portfolio Management. The suite is not just extensive but it is also accessible via mobile. This flexibility eliminates bottlenecks in relation to approvals and schedule problems. Customer service representatives and those who work on the field can also use this to report complaints and issues with corresponding documentation that can be captured and sent via their mobile device.